Mouldings most often used for doors, jambs and entrance systems. Striking designs can easily by assembled using very inexpensive components. 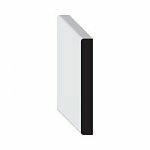 We offer variety of Doors Stops, Door Jambs and Door Headers.